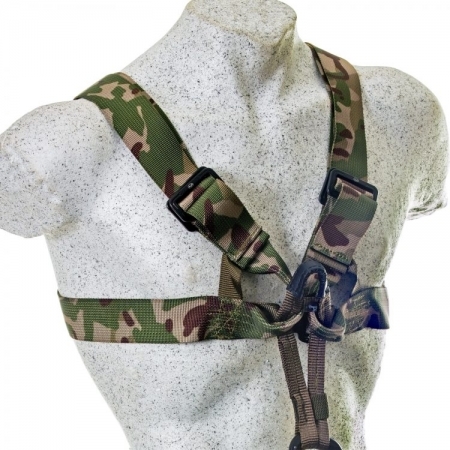 The Harrier light camouflage harness is an up to date model of our standard harrier harness. 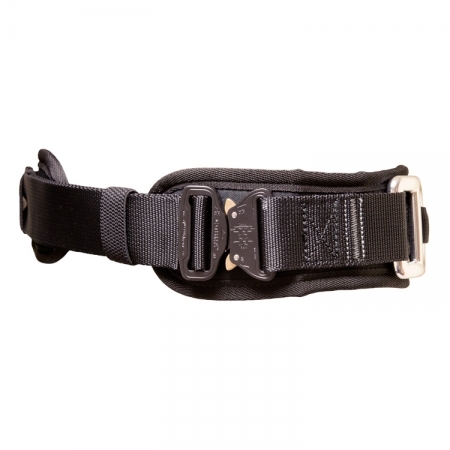 The harness has been designed around the current MTP used by the UK forces. 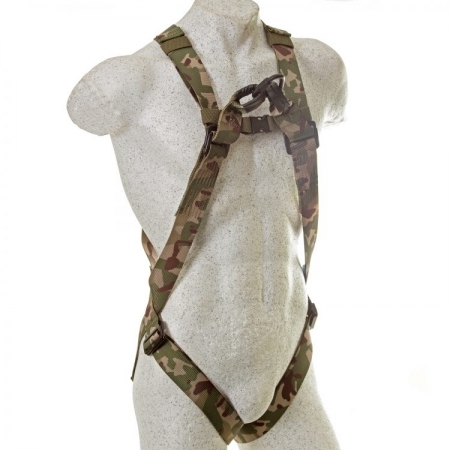 The only difference to our standard harrier harness is that we have used the same close cell foam padding as our popular hawk harness thus making it less bulky but also giving you twin independent front attachment points. High grade polyester webbing is used for extra strength, abrassion resistance and has an extremely high resistance to UV degradation. 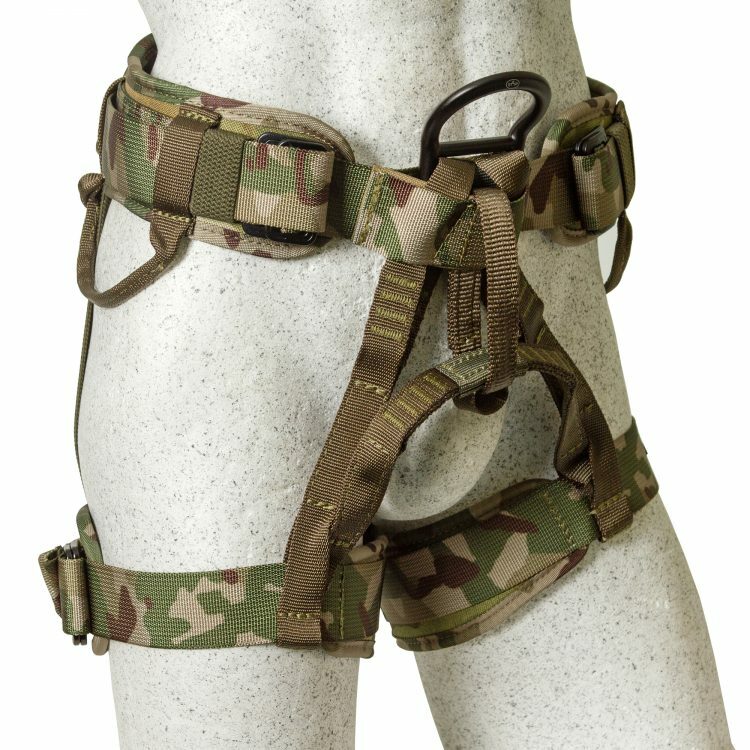 The Harrier lite has a wrap around fitting system for ease of donning and safety which stops the harness getting soiled, as is common with the step in type harnesses. 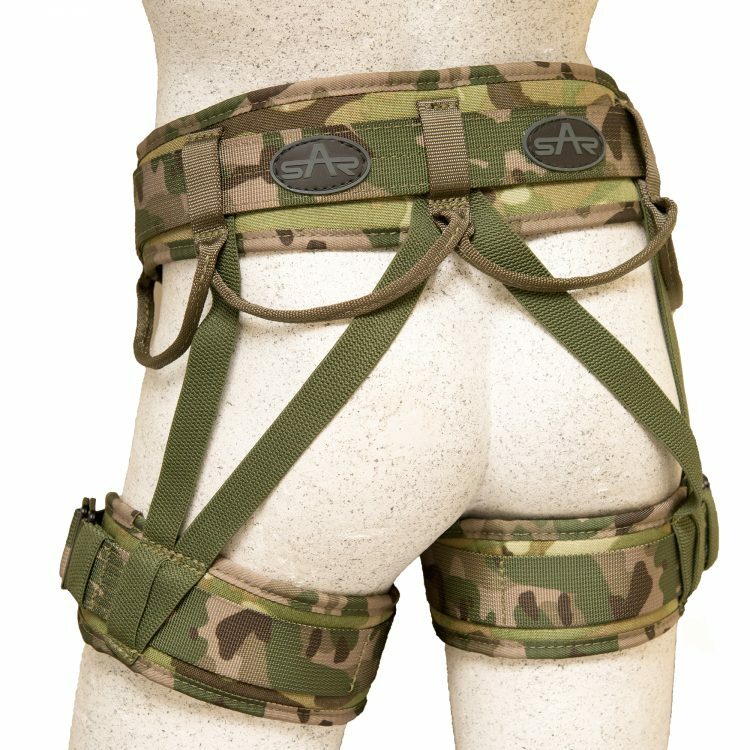 The QC style has quick clip buckles on the leg loops. Both harness conform to: EN361 when linked with any of the SAR chest harnesses and a Link Sling.